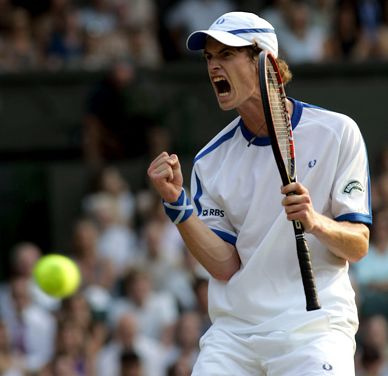 Years of heartache were brought to an end by Andy Murray's breathtaking performance at Wimbledon just a fortnight ago. But what lies behind such a players' success? Inspirational coaches, dedicated managers, hard work – all true; but something else too: research. At this point, you need to step back and make sure you understand why you, as a B2B content marketer (and not a sportsperson) are carrying out research in the first place. Yes, you can (and should) use it to garner knowledge to inform strategy and gameplay, like Ogilvy and Murray. But don't lose sight of the fact that, in B2B content marketing, your original research is also, in itself, content. Its main purpose is to act as a platform to project your authority, creativity, trustworthiness, knowledge and expertise - exactly like all the other kinds of marketing that you produce - but then, use the results to create further content, in a virtuous circle. In short, your ability to generate innovative and interesting research gives you many bites of the same cherry. So, how do you create original B2B research that puts the ball on the line? The easiest and, arguably, most effective way is with an online survey or poll. Many free survey tools exist, the best-known of which is probably SurveyMonkey. This also has a useful blog, with posts offering advice on survey content and topics and guidance on “going social” with polls and surveys. Other survey tools, include SurveyExpression, eSurveysPro, SurveyGizmo and QuestionPro. In the same way that Murray makes sure he uses the right racquet, make sure you're using the right online survey tool for your purposes. A comparison quickly shows that not all the free online survey tools are created equal. Alternatively, make use of research companies to either carry out paid research on your behalf, or partner with you to produce joint-branded research. The latter carries considerable benefits, not only because it enables both you and them to make extensive use of the results, but because third-party research potentially carries more credibility from the readership's point of view. Set yourself a final scoreline - Be clear on your metrics before you set the survey live. Number of leads? Number of responses from particular companies? Clarity at this stage will help ensure that you deliver a survey that gets effective response levels and actually reveals some interesting findings - for you to transform, of course, into further content! State your gameplan - Strong research leads with a strong hypothesis. Set out what you're trying to prove or challenge and make that point infuse every other element of your research. And don’t be afraid to be controversial - “Businesses should support higher salaries for MPs”, for example, is potentially a very productive survey topic indeed, given the current public mood on related issues. Make like muscle rub - If customers think the findings of your original B2B research is going to help address their pain points, they are far more likely to respond to your questions. Know your customers, know the knocks, bruises and strains they suffer, and offer the promise of a salve. Just as both before and during the research, you have multiple B2B content marketing opportunities available to you – blog posts, email campaigns, and of course, social media – publishing the results brings other numerous content rich opportunities to be the topic of your customers' conversations. Highlight your key findings in deliverables such as infographics or Slideshare presentations – highly shareable across social networks, of course; meanwhile, full results reports can be presented in eBooks, whilst more detailed discussion of conclusions drawn from your data can be presented in blog posts, videos, or news releases. Get the combination of topic timing, original perspective and content channel right and the rewards in terms of traffic, social sharing, thought leadership, interest, and overall profile can be huge. ...and then you can reward yourself with champagne and strawberries.